Grading is the process in which a landscape is made ready for different types of construction. At its core, the purpose of grading is to level the land so that whatever is built on top will be stable and longstanding. Properly graded areas help to ensure proper drainage, so that water won't flow directly towards any structures such as garages or your home, and also won't pool water in spots on the driveway itself. Grading provides a stable foundation for creating a driveway, or other paving task. 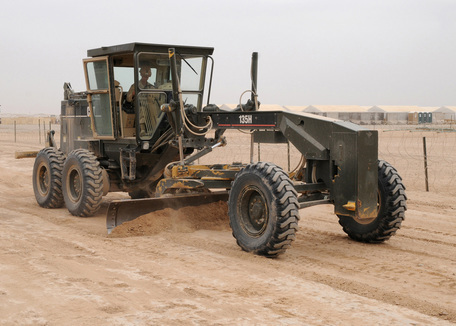 Having land graded and stabilized is an important step before any kind of paving operation. RVA Paving can help determine the level of preparation that should go in to your projects, and whether grading the existing area will be sufficient or if the task will require excavation.